Ireland travel guide, plan your unforgettable holidays up to -70% off To take advantage of these offers, join now for free! Plan your holidays to Ireland with our free ✅ ultimate travel guide, written by our experts. Top 10 Ireland attractions, tips, advices. 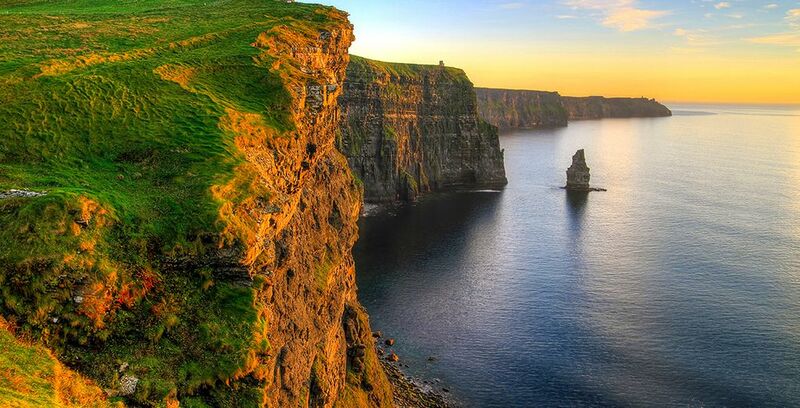 Known for its rugged cliffs, rolling landscape and wild coastlines, Ireland is unparalleled in terms of natural beauty. With lush, green farmland interspersed with heather-covered bogs, there are picturesque views at every turn. Whether you visit the spectacular coastlines at Sligo and Donegal, explore Killarney National Park in the west of Ireland, hunt for archaeological relics in Wicklow and Bray or take a dip in the secluded lakes in Galway and County Clare, you’re never far from a stunning natural backdrop. With rural escapes, sophisticated cities, adventure holidays, touring trips and seaside breaks, Ireland really does have something to offer everyone. For natural beauty and stunning landscapes visit Skellig Michael in County Kerry. Situated 12kms offshore, the islands are one of the most western points in Europe and are home to the remains of a 6th-century monastery. Situated in County Clare offer unrivalled views of the Atlantic Ocean. 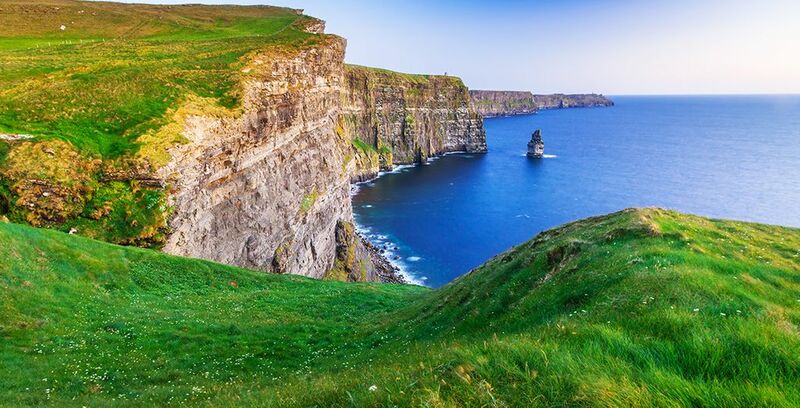 Dating back over 350 million years, the Cliffs give a mesmerising insight into Ireland’s past and, combined with the dedicated Visitor Centre, has been voted Ireland’s Top Tourist Attraction on numerous occasions. No visit to Ireland is complete without a trip to the Blarney Stone. Legend has it that those who kiss the Blarney Stone will be blessed with the gift of the gab, so it’s always a popular attraction. Located at the medieval stronghold, Blarney Castle in Cork, visitors are encouraged to tour the Castle and the surrounding site. The Ring of Kerry is one of the most popular trails in the whole of Ireland and it gives you unrivalled access to the Iveragh Peninsula. The 111-mile route offers beautiful coastal, river and forest scenery, access to Kerry National Park and the chance to take part in various activities, such as horse-riding, golf, fishing, cycling and watersports. If you fancy a lively evening in the country’s capital, the Temple Bar is not to be missed. Always filled with tourists, Dublin’s iconic venue is home to a distillery store, over 450 whiskeys and fantastic food. It also hosts live Irish music every day of the week. Another of Dublin’s must-visit venues is the Guinness Storehouse. Visit the home of Ireland’s best-known export and take a tour of the brewery to see how the perfect pint is made. With a rooftop bar, three indoor bars, tasting experiences and three eateries, you can fill your day with the full Guinness experience! Situated in County Galway, it is a national treasure and is hugely popular with tourists. Home to Connemara Ponies, the National Park is home to Kylemore Abbey and three mountains in the Twelve Bens range fall within the Park’s boundaries. With walking, hiking, climbing and cycling trails all over the Park, you can see the countryside in a whole new way. Also known as the Valley of Two Lakes, Glendalough is located in the Wicklow Mountains National Park and is a sublime example of the wonderful countryside. 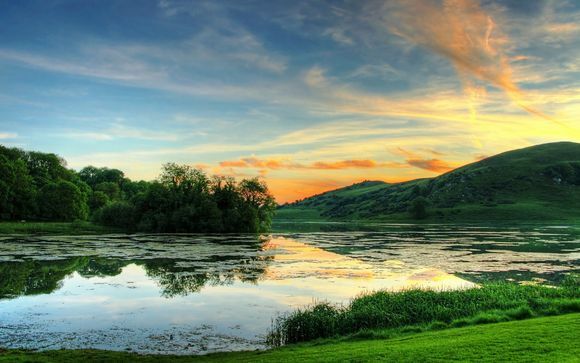 Known as ‘the garden of Ireland’, Wicklow is home to endless rolling meadows, serene lakes and heather-covered meadows. Close to the border with Northern Ireland, the Cooley Peninsula is a hidden gem. Generally off-the-beaten-track, the area isn’t too well-known by tourists, which means you can experience the stunning landscape in peace. Climb the Mourne Mountains, visit the village of Carlingford or take a walk along the coastline at the northeastern tip of Ireland. Keen shoppers have always rated Grafton Street in Dublin but the city’s café culture has transferred this iconic Street into more than just a series of shops. Street performers, musicians and buskers fill the pavement and there are plenty of cafes and bars in which to sit and watch the world go by. With so much to do and see in Ireland, you won’t be short of activities on your trip. Whether you want to take a relaxing break and enjoy the spectacular views, take a walking tour of the capital or boost your adrenaline coasteering in the Atlantic, you’ll be sure to have an unforgettable time. Ireland has a relatively mild temperature all year round, so there’s no bad time to visit the Emerald Isle. If you plan on visiting more rural locations, you’ll need to check that local amenities and hotels stay open during the winter months, but most City Centre and town-based facilities are open throughout the year. If you do plan on travelling to Ireland in winter or early spring, do check how if your arrangements are likely to be affected by bad weather. Ferry crossings may be cancelled or delayed in times of high winds or storms, for example, and this could affect the itinerary of your trip. Travelling to Ireland is easy from any location and its close proximity to the rest of Europe makes it an ideal destination for millions of tourists and holidaymakers. 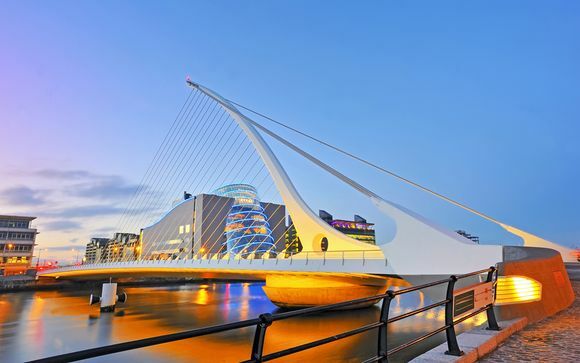 With international flights arriving and departing from Dublin Airport, Cork Airport, Shannon, Kerry and Ireland West Airport, there is plenty of choice when it comes to flying in from overseas. With an average flight time of approximately 1 hour and 20 minutes from London and just 50 minutes from Scotland, Ireland is the ideal place for a mini-break. In addition to numerous airports servicing the country, Ireland has various ports which regularly receive passenger ferries. 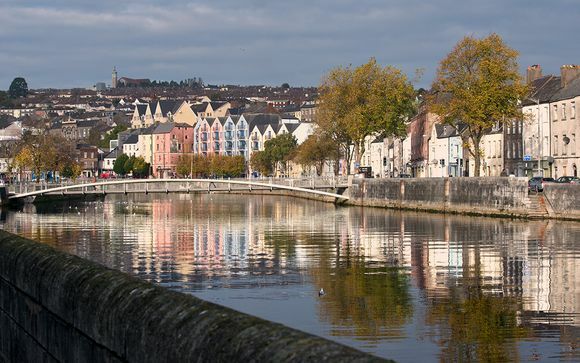 Routes from Holyhead, Pembroke, Fishguard, Douglas, Heysham, Liverpool, Fleetwood, Mostyn, Cherbourg and Roscoff offer voyages to Rosslare, Dun Laoghaire and Dublin, with crossings taking as little as two hours via the shortest route. You’ll need a valid passport to travel to Ireland, regardless of where you’re coming from, but only certain tourists will need to a VISA so do check the requirements before booking your trip. With exquisite hotels dotted all over the country, you won’t find it difficult to choose somewhere to stay but why limit yourself to just one location? 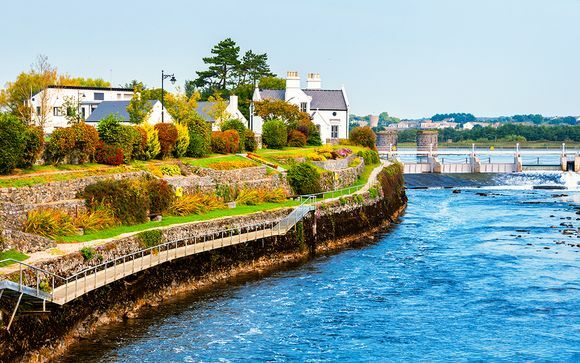 Encompassing the counties of Galway, Clare, Kerry, Wicklow and Connemara, this inspiring tour of Ireland leaves nothing to the imagination. 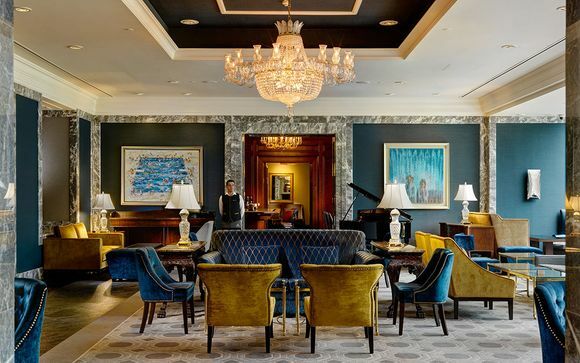 During your trip you’ll stay in a range of handpicked 3 and 4 star hotels, such as the Fitzpatrick Hotel in Killiney and Foyle’s Hotel in County Galway. With fitness centres, swimming pools and a range of gourmet restaurants and well-stocked bars, you’ll relax in luxurious surroundings before setting off to your next location. Known for its mystical history and myriad folk stories, this self-drive tour of the country brings haunted Ireland to life. 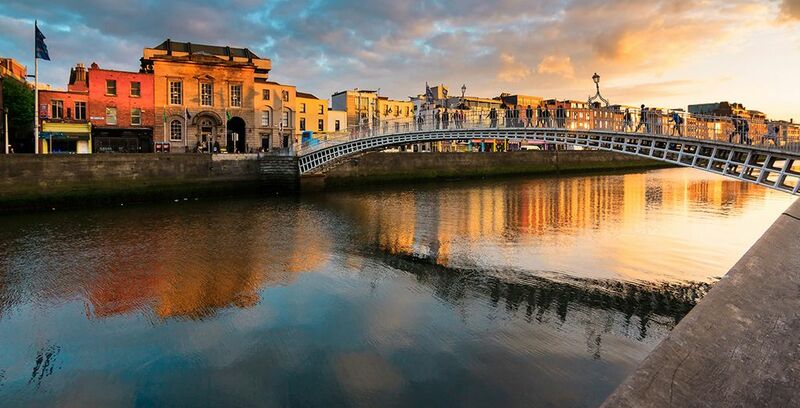 A 10 day trip, with 9 nights in hand-selected, exclusive hotels, you’ll visit Dublin, Charleville Castle, Aran Island, Killarney and Cove, as well as Kenmare, Cork and Wicklow. Night time haunted bus tours will give you a true taste of Haunted Ireland but you’ll be invited to relax and recuperate in exclusive 3- and 4-star hotels on your trip. Hotels such as the iconic Salthill Hotel in Galway and the Clayton Hotel in Liffey Valley will give you access to a fully-equipped gym, children’s pool and 20m indoor pool, private dining facilities at The Amber Restaurant, as well as fine cuisine in the Prom Restaurant and stunning views from the Blackrock Bar and Terrace. Filmed at a number of locations in Ireland, the world-class Game of Thrones series has proved popular with people of all ages. Over 7 nights, you’ll explore the series’ most famous locations, such as Trim Castle, Castle Ward, Bru na Boinne, Cairncastle, Glenarm, Carrick-a-Rede Rope Bridge, Bushmills, Giant’s Causeway, Glenties and Castle Coole. Perfect for fans of the show, this unique trip includes stays at some of the most popular hotels in Ireland. 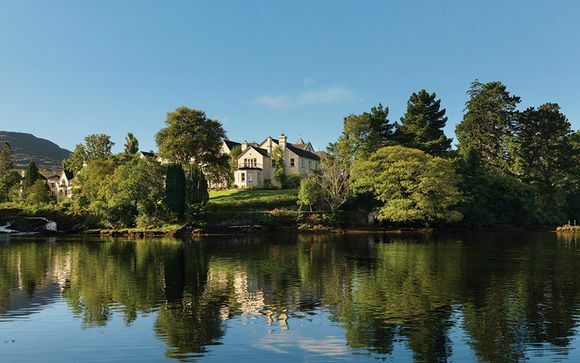 3 and 4-star resorts, such as the Mill Park Hotel in Donegal and The Bushmills Inn Hotel combine contemporary amenities with traditional luxury. If you fancy working out in one of the hotels’ fully-equipped fitness centres, you may like to relax in the jacuzzi hot tub, steam room or heated duo level swimming pool afterwards? Mill Park Hotel offers all of these facilities, along with private gardens and outstanding cuisine. Similarly, the award-winning restaurant at The Bushmill’s Inn Hotel will be sure to whet your appetite. Enjoy al fresco dining in the summer months or warm up by the fireside when the cold sets in. You can even enjoy intimate screenings of the latest movies at the hotel’s boutique cinema! 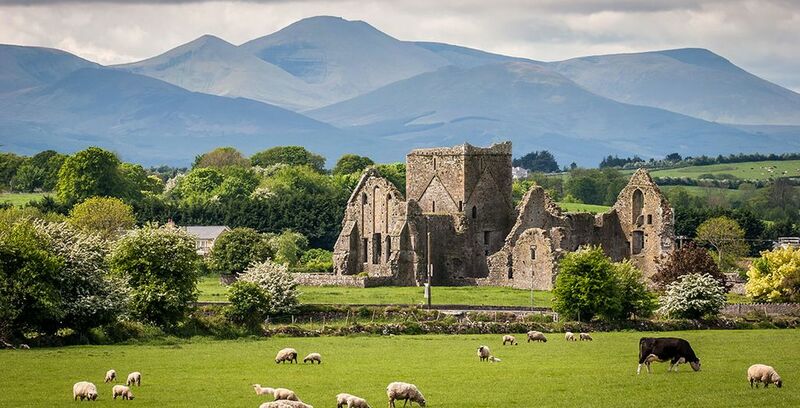 Ireland’s culture is visible at every turn; from dramatic landscapes and ancient ruins to traditional Irish music and the friendliness of the locals. Whether you choose to book a city break in Dublin, a rural retreat in Donegal or explore with a self-drive tour of the country, you’ll be sure to soak up the culture of this wonderful land. Festivals and events take place throughout the year, with many tourists keen to attend. The family-friendly Vantastival takes place in May, with music, arts and crafts, gourmet food stalls and plenty of activities for youngers and Sea Sessions in Bundoran is perfect if you’re looking for an action-packed weekend. For something more traditional, visit Milltown Malbay at the beginning of July for Willie Clancy Week and you’ll be treated to a masterclass in Irish dancing and music. Workshops offer you the chance to learn a new skill and everyone’s invited to join in. Fleadh Cheoil, taking place in Drogheda in August, is another opportunity to experience the best in traditional music. Whenever you’re in Ireland, there’s always an event taking place. Whether it’s the Cork International Choral Festival, the Fermanagh Walking Festival, Dublin’s TradFest, Wexford Food and Wine Festival, the Ballinamore Course Angling Festival, Kerry’s Puck Fair, the Carlingford Oyster Festival, the Dingle Food Festival or the Jameson Dublin International Film Festival, there really is something for everyone. Food lovers will be spoilt for choice in Ireland. Among the fine local fare, Irish chocolate is known for its creamy taste and texture. Ideal to pop in your case for the journey home and perfect for presents, Irish chocolate is a must-have souvenir. If you want to take a taste of Ireland home with you, what better than a selection of Irish whiskies? With a variety to choose from, there are dedicated tasting boxes which make the ideal souvenir. Ireland uses the Euro, so you’ll want to convert some cash into Euros before you arrive or upon your arrival. Although Euros come in notes of €100, €200 and €500, there aren’t many retail outlets which will accept them, particularly in more rural locations or smaller establishments. if you plan on visiting Northern Ireland during your stay, however, you’ll need to use Sterling (GBP) so it may be worth carrying both currencies with you. Is there a time difference in Ireland? Ireland falls within the UTC time zone from late October to late March and operates according to Irish Standard Time in the summer months. This means there is no time difference between Ireland and the UK but there will be time differences between some European countries and other destinations. English is spoken all over Ireland and you’ll have no problems conversing with people in English, regardless of which areas you travel to. In some locations, you may hear the native tongue and you may even get to try out a few words of Irish, or Gaeilge. Ireland’s hotels, shops and bars are well-equipped with anything you may need on your travels but you’d be well-advised to bring an umbrella with you! Rain is common in Ireland and you’re likely to experience a shower or two when you’re in the country. Wet weather clothes are always a good bet too, and you may want to pack appropriate hiking or walking boots if you plan on exploring the countryside on foot. How long to stay in Ireland? Ireland is ideal for any length of trip and most tourists wish they could stay in the country longer than their itinerary allows. With so much to see and do, you could spend weeks or even months taking in the sights of this beautiful country. However, Ireland is perfect for mini-breaks and city escapes too. With short travel times to most European locations, you can spend a night or two in the country and still sample the best that Ireland has to offer. A full Irish breakfast is the only way to start the day and you’ll be treated to sumptuous fare at all of the hotels you stay in on your trip. Award-winning restaurants offer a mix of traditional Irish specialities, such as colcannon and boxty, as well as contemporary cuisine. If you’re travelling to Ireland with children or teenagers, you needn’t worry about them becoming bored or restless during your trip. Child-friendly hotels welcome families with youngsters of all ages and there are endless attractions aimed at young people. Try the Castlecorner Discovery Park, Tayto Park, Fota Island and Wildlife Park, Dublin Zoo, colourful Kinsale, horse riding in Connemara or one of the many waterparks and you’ll be sure to impress everyone in your party. Ireland is a home for animal-lovers and many holidaymakers want to bring their pets with them when they travel. If you’re bringing a dog to Ireland with you, you’ll need to abide by your airline carrier’s rules regarding pet transportation. However, many of the ferries offer pet-friendly services and taking your dog on board a ferry crossing can be far easier than travelling via a plane. Ireland: What budget to plan? Holidays in Ireland can be suited to any budget. Luxurious hotels and exclusive restaurants are available, and you may be surprised at just how economical luxury stays can be. Whilst Ireland has a host of attractions, the stunning natural landscapes and historical sites mean you can explore the country without spending too much. With lush, green grass and rich purple heather covering the countryside and meadows, you’ll be overwhelmed by the environment in Ireland. With miles of unspoilt land, the fresh air and unending views are some of the most spectacular in the whole of Europe. For nature-lovers, there’s the chance to see a host of rare species, such as the Greater Sand Plover, Wilson’s Warbler, Royal Tern, otters, stoats, red deer, Irish hare and pine marten. Although Ireland is full of places to visit and things to see, the island itself is not too big and this makes driving easy. Travelling from Sligo in the north to Cork in the south can take as little as four hours by car, for example, so it won’t take long for you to explore the country. With so much to explore in Ireland, you can truly make your trip your own. Plan your visit around certain festivals and events if there’s something that takes your fancy or simply book your holiday for when the weather’s at its best. Regardless of how you plan to fill your days on the Emerald Isle, you can be sure you’ll be greeted with céad mile fáilte; a hundred thousand welcomes.